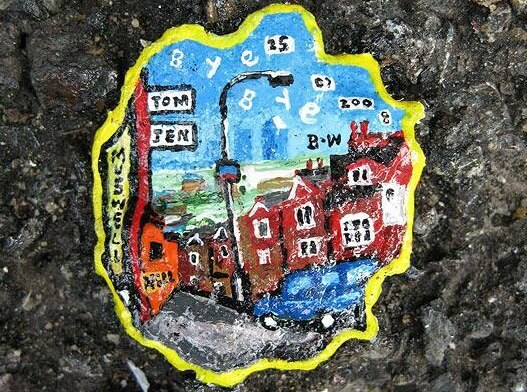 I love this street artist, turning discarded gum into canvasses, trash into an opportunity for whimsy. You are welcome in New York, Ben Wilson. Chapeau, Douglas Brodoff. Thanks for sharing this video. This entry was posted on Thursday, July 25, 2013 at 8:31 pm and is filed under Artistic Trash. You can follow any responses to this entry through the RSS 2.0 feed. You can leave a response, or trackback from your own site. Hummm êtes vous sûr de ce que vous nous dites ? ?